Hedge fund Marshall Wace is offering immediate returns of up to 15 pct for investors in its new peer-to-peer lending vehicle. Lloyds’ soon-to-be listed TSB retail bank offers single-digit returns now and no dividends until 2018. To secure interest, a hefty discount is warranted. 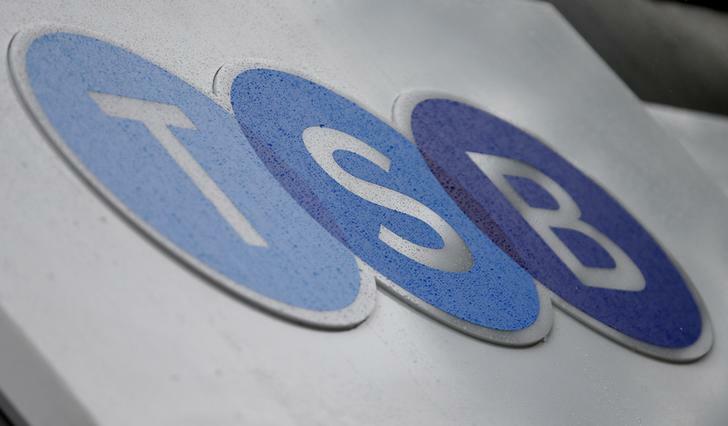 TSB Banking Group will not pay a dividend until 2018, the lender said on May 27 as it outlined its intention to float shares on the London Stock Exchange. The lender’s 631 branches will give it a 6 percent share of the UK branch-based retail banking market and 4.2 percent of personal current accounts. TSB wants to increase the size of its balance sheet by 40 to 50 percent over the next five years. Over the same period, it wants to move towards a double-digit percentage return on equity. The bank’s 17 percent fully loaded Basel III core Tier 1 ratio means it has enough capital to fund this future growth and comply with regulatory requirements, according to a person familiar with the situation. Lloyds Banking Group intends to list 25 percent of TSB in the IPO, and will dispose of the whole business before the end of 2015. Lloyds shares rose 1.5 percent to 77 pence on May 27. Marshall Wace’s P2P Global Investment Plc is targeting returns for investors of between 5 and 15 percent.